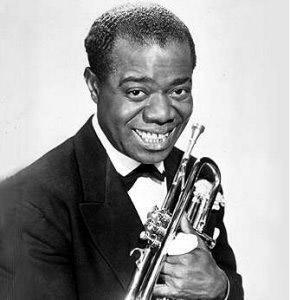 Recently I came across this Louis Armstrong quote, "I don’t need words – it’s all in the phrasing." I've taken this quote to mean many things, but mostly how you can obtain the intent of music by the way it is played, not just by what is played. Love can be seen as joy, tranquility, purpose, energy and sentiment. This can be displayed through holding out a note, emphasizing a syllable, punching out a line. In videos you can see performers lean forward, tilt back and dance to display this passion. I find myself always going back to listen to Louis Armstrong, because his music makes me so happy. And what I've discovered is that the happiness I receive from his music comes from the absoluteness and intent of his phrasing. In the following video, you can feel the buoyancy Armstrong gives to the song with vibrato in his vocals and trumpet playing. This week I wanted to share some videos of jazz musicians who exude love in their playing. Sonny Rollins' big, bold sound makes it feel like his heart is exploding as he continually goes back to the melody throughout the song. Erroll Garner's smile and ornamental flourishes make "Misty" full of love, especially with the dynamic contrast in the stride passages. Ella's sentiment, stage presence and clear enunciation helps her connect with the audience, sharing her love of music with others. This delightful duet shows how love can be displayed as complete respect and camaraderie for your bandmates. Johnny Hodges takes a different approach to displaying love by creating climax points within the tranquility of the initial melody. Another Armstrong quote I came across was, "Jazz is played from the heart. You can even live by it. Always love it."